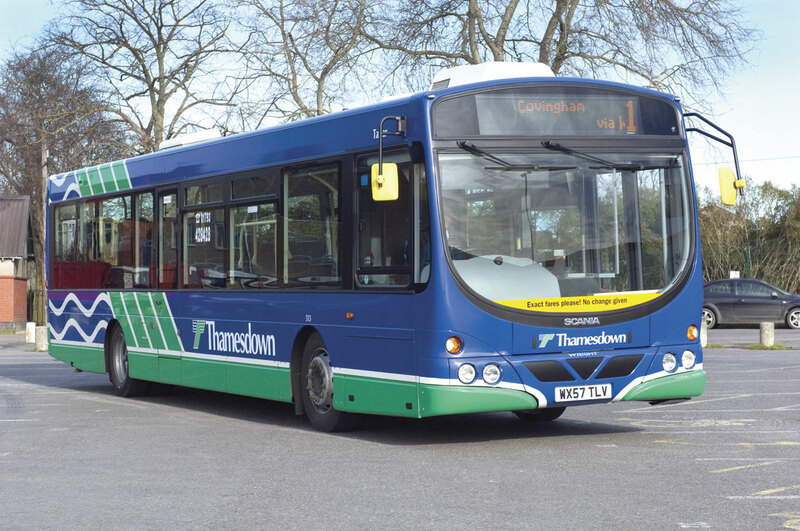 Thamesdown Transport is an innovator, a company that isn’t afraid to try something new to explore new ways of operating its fleet even more efficiently. It has recently done just that with WheelRight, a drive over tyre pressure monitoring system. 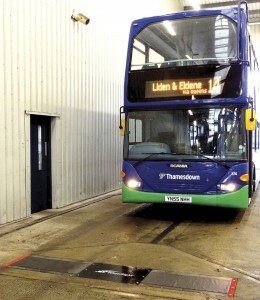 The Swindon based operator was approached by the creators of the product, also called WheelRight, with a deal to have the system trialled at its depot. Always keen to discover new ways of doing things in the industry, particularly if it saves money and simplifies operation, the engineering team agreed to a seven month, full scale trial. 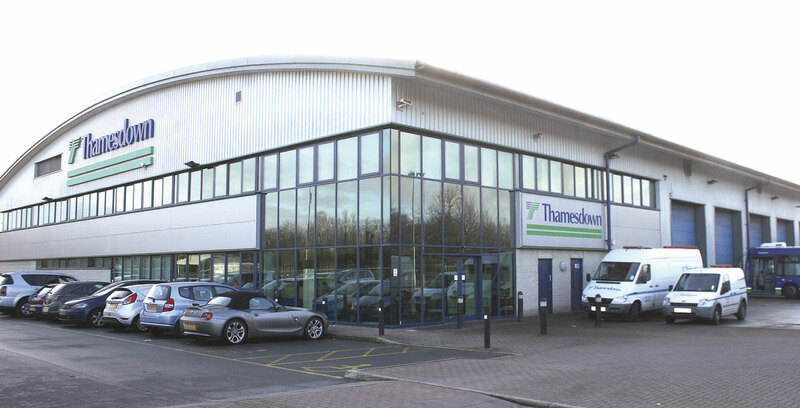 Since installing WheelRight, Thamesdown has enjoyed a successful relationship with the company, continuing to benefit from the tyre pressure monitoring system, saving money, downtime and labour. Chris Peat visited the operator’s depot in Swindon to see this new product in action, meeting up with Head of Engineering, David Spencer; Engineering Manager, Ken Hawkins and CEO of WheelRight, John Catling. It had WheelRight fitted between the fuel bay and bus wash in the yard and can now add tyre pressure monitoring to the list of facilities. 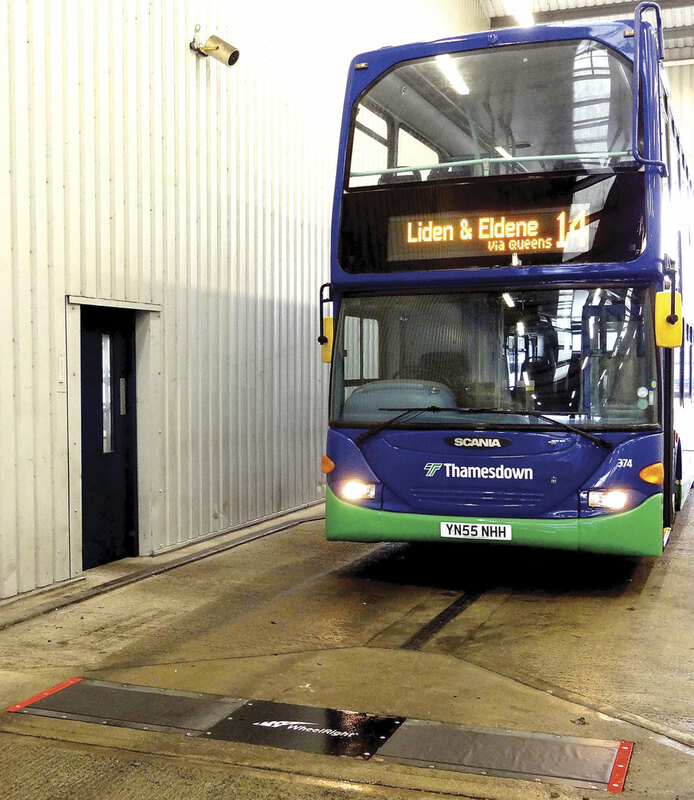 To use the system, Thamesdown’s maintenance team drive the buses over a flush mounted pad embedded into the concrete of the bay. The pad contains highly sensitive, yet robust sensors. 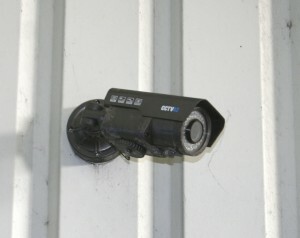 A camera captures the number plate of the vehicle driving over the pads for identification purposes. The system uses algorithms to process the data as the tyre rolls over it to calculate pressures, thus doing away with the need for manual checking. According to John, this is a serious advantage, as it means technicians no longer need to wander the workshop taking readings from each tyre. This saves staff time and is safer, reducing the risk of accidents. Within seconds of driving over the monitoring strip, a series of calculations is carried out and the real time tyre pressures are sent directly to the fleet manager, via text or email. Witnessing the process myself, the reporting was almost instant. To make solving the problem even more straightforward, the results state exactly which wheel on which requires attention. Since its installation, WheelRight has become an everyday part of the fleet’s maintenance, with vehicles swept out, refuelled, tyre pressures checked and washed at the end of the day. Having the data of which tyres require attention ready the previous evening allows the early shift technician the next day to work on it before the vehicle has to go out. This is one of the key benefits the system has brought about, a reduction in vehicle downtime and the amount of tyre repairs it has to make. However, Ken explained that it does not completely stop roadside call outs concerning its tyres, WheelRight cannot stop kerb damage or punctures. It does help reduce call outs though, lessening the likelihood of tyre failure, which in turn helps avoid inconvenience to passengers and maintain high service levels. When the machine was first rolled out, it was registering on average seven red alerts a night. It was a very ‘labour intensive’ process in the beginning to get the pressures up to standard. However, now there is hardly any man power required at all to ensure the tyres are correctly pumped. It requires no input from any tyre company. David said his tyre providers know about it and have seen it, but it does not affect what they offer. When designing the product, John knew it had to process the data quickly. He said, ‘There’s no point delivering results minutes after it’s driven over it. You need to present the data before the bus is out on the road.’ To do this, there has been some sophisticated mathematics used to ensure the calculations the machine makes are accurate and timely. It is early days in his marketing efforts; there is no team of salesmen. Custom is already coming in, with John saying people, ‘tend to find us before we find them’. Now though, the company is seeking to increase its publicity and generate further enquiries. The opportunities are ‘vast’ in this sector, he believes, reporting that one larger bus company is ‘very pleased’ with the product. It is not just a vast opportunity in the UK bus and coach market, it is a vast opportunity worldwide. There are about 5bn tyres in use around the globe, he estimates, and they should all be properly maintained. John asks the question of how do we achieve this? If we do it with humans physically checking the tyres themselves, he said the only decent way to inspect them is to put the vehicle over a pit. Not only is this more time consuming, it is also more prone to mistakes. Humans are fallible, whilst a properly working machine when used correctly is not. Doing it this way also means the tyre has to be stationary. WheelRight has the added benefit of being able to weigh the vehicle whilst it is in motion. Because drive over checks are less time demanding, the product makes it even more feasible to make these checks regularly. The concept for WheelRight was that of Chairman Michael Taylor. He and John invested into the idea, helping finance its development. John says he was inspired to work on the project by his own experiences as a motorist. Tyres had always been somewhat of an afterthought for John, a sentiment he believes is shared by a lot of motorists. The reason behind this, he claims, is that they are fine most of the time. However, when they are not fine, it is bad news. An easy to use, drive over tyre pressure monitoring check is ideal he believes and is the reason behind his investment. Incorrectly inflated tyres really are a problem, John claimed, quoting Highways Agency figures showing there are around 120 deaths on the roads each year related to tyre failures and mismanagement, with 15,000 incidents on the nation’s A roads caused by tyre related problems. 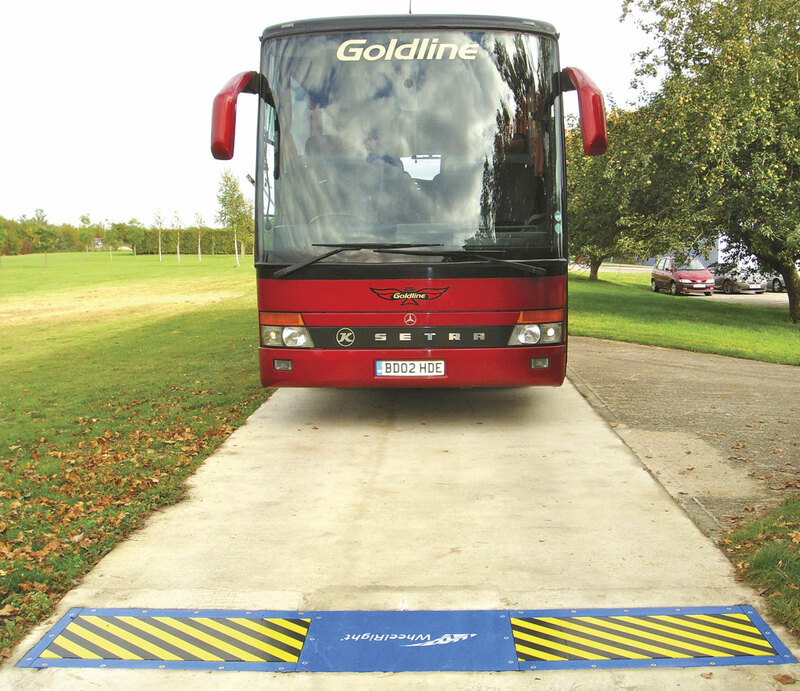 With the inspiration for it coming from a mission to ensure safer tyres across the UK, the WheelRight solution is not just limited to bus and coach depot applications. It can be adopted by car fleets, HGV fleets and retail businesses. It even has ATEX approval for potentially explosive atmospheres, meaning it can be installed on petrol station forecourts. WheelRight was developed at the Oxford University Business Park in Begbroke with ten engineers working on it. The technology is also built in the UK. WheelRight does not sell the equipment, the hardware is supplied by the company ‘free of charge’, whilst all ground works required are paid for by the customer. The company then enters a contract with the operator, often over three years, under which it fully services the system and provides the data. Payments are made monthly and are dependent on the size of the fleet and the reporting options selected. WheelRight runs the data server for customers, with the web enabled system allowing users to store PSI reading data. All that is required for WheelRight to be put in place is a power supply and a mobile phone or broadband connection. The whole system is fully weatherproof and can be installed in the open. The cost of and time taken to install the system varies from depot to depot. Thamesdown’s installation took three days and the majority of that time was waiting for the concrete to cure. The size of the fleet does not matter when it comes to installing the solution, any number of vehicles are welcome. Tyre pressure monitoring systems (TPMS) are nothing new. Lately there have been several tyre manufacturers releasing on-vehicle TPMS devices. These often consist of a reader fitted on the tyre that transmits any low or high PSIs. However, John believes his solution has an advantage over those devices. 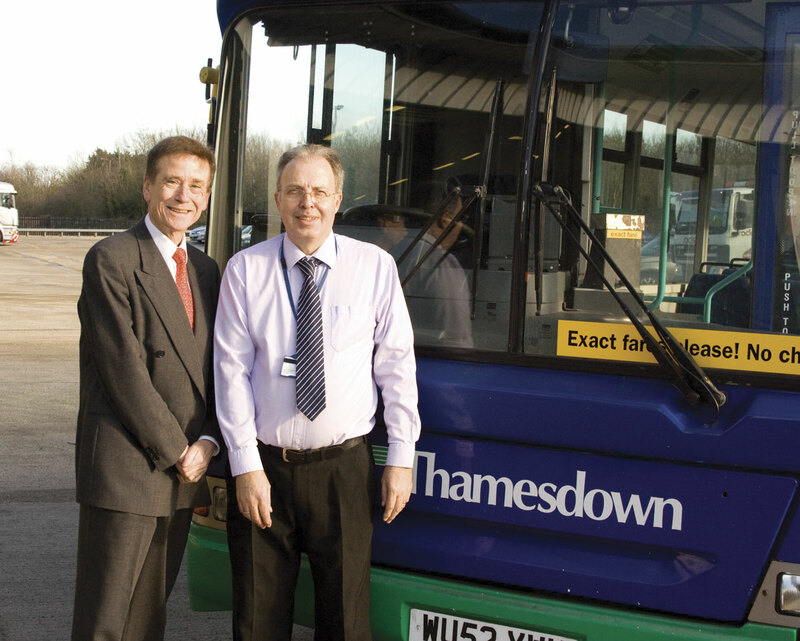 Thamesdown has around 90 vehicles in its fleet, so John claims the practicalities of fitting readers to each tyre is ‘huge’. Using his drive over product is much more practical he believes. In addition, if an operator with it wants to move depot, it is possible for it to be moved from its existing home and relocated. WheelRight is an innovative product. John believes there is no other device like it available. Such is its usefulness that the solution may well become an everyday sight across depots up and down the country. It may even be a common part of everyone’s motoring life, with the possibility of it being fitted at petrol forecourts. The BBC has even taken an interest in it, having visited Thamesdown to see it in action (http://www.bbc.co.uk/news/technology-25457598). Most importantly, it may make more people aware of the savings and increased safety that can be had with better tyre management.